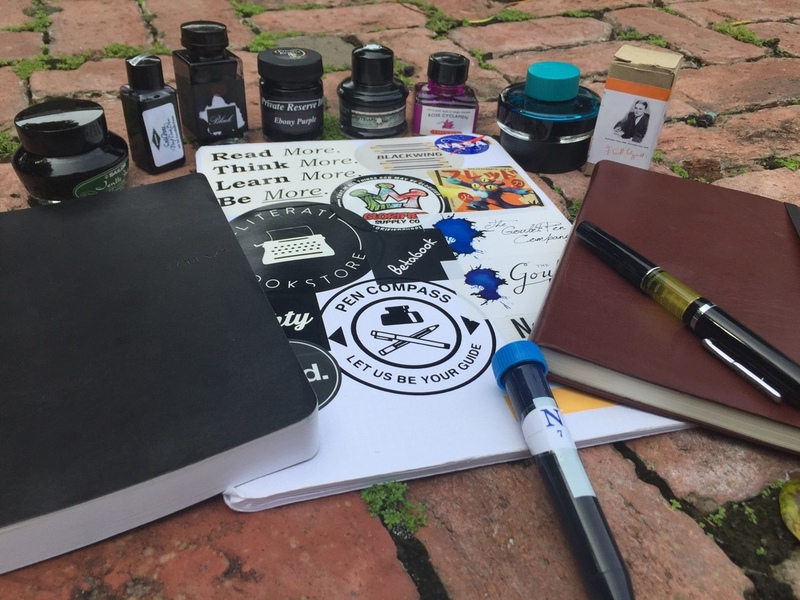 I had gotten this pen specifically to give it away for Fountain Pen Day, but since I had it in my possession I figured I'd give it a proper review. 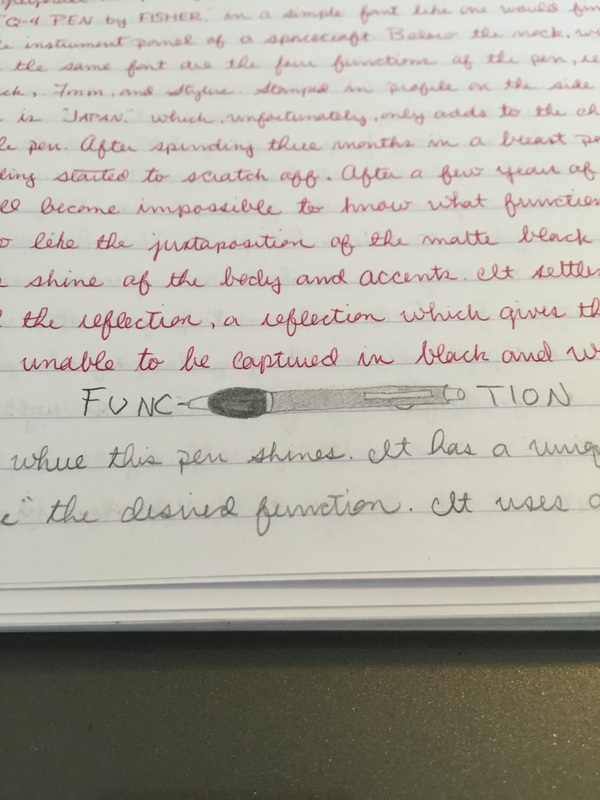 I'm not a big fan of the color red in pens; I'm really not a big fan of red in general (although I do enjoy some good red ink). The pen, however ,came for a good deal from a friend so I couldn't pass it up. Despite the fact that I don't like red, this pen has a vibrant color. It remind me of a Christmas tree ornament the way it reflects light. The proper name for the color is Radiant Red, which was a Limited Edition color that is no longer available from Franklin Christoph. It also comes in black and maroon. The black has four different colors for the clip band: maroon, white, olive grey, and orange. If I were to get the pen again I would probably go for the black and white (it sort of looks like a Roman collar) or the full maroon. The rhodium finial, on the top and bottom of the pen, has the gothic "F" of the Franklin Christoph branding. Under it is the signature four diamond pattern. Both of these have been etched into the metal, which also adds to the class of this pen. The four diamonds are etched vertically on the clip as well. Alone they remind me of playing cards and bring to mind late night poker games with friends. This pen could definitely be a last ditch bet for a hard up gambler, and would be desired by all. There's a little surprise when you uncap the pen. The body is perfectly symmetrical. The design of the end cap is the same as the grip section (Yes, OCD people the cam rotation is different on the blind cap and the grip, ever so slightly. Believe me I tried.) This makes the pen more aesthetically pleasing. The only way for me to describe the design of the grip section is fancy knurling. The alternating lines are enjoyable to look at and have a great grip function as well. The nib is the traditional Franklin Christoph nib with the flourishes and again the gothic "F" etched onto the nib. On the whole, this is a very attractive pen. Many more people than normal noticed when I carried it in my breast pocket. It calls attention to itself. Now what the clip lacks in looks makes up for in function. It has a nice spring to it which allows it to both hold onto pockets and release from them. 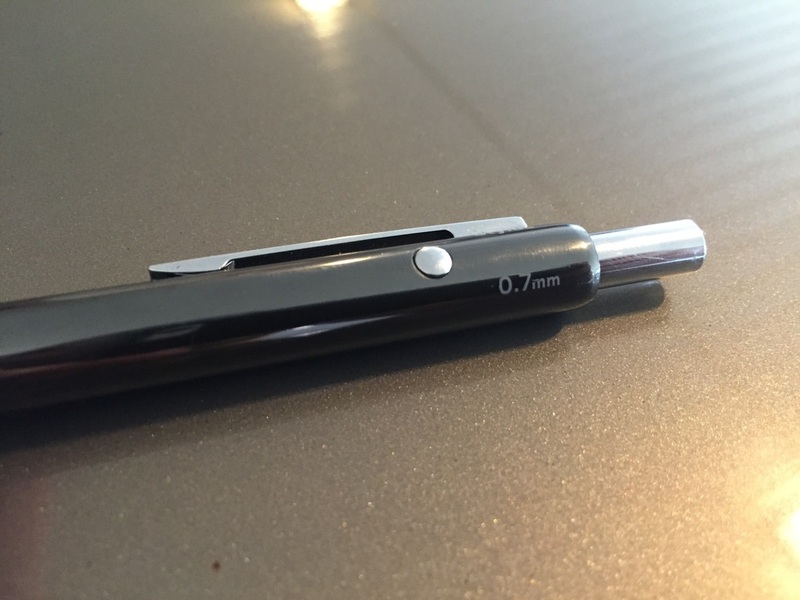 That is a great design element to this pen, and it is very important for me to have them in a pen. So often the clip has only one element: it hold on well or releases well. Even though I don't like the look of the band, I admire the function it provides. 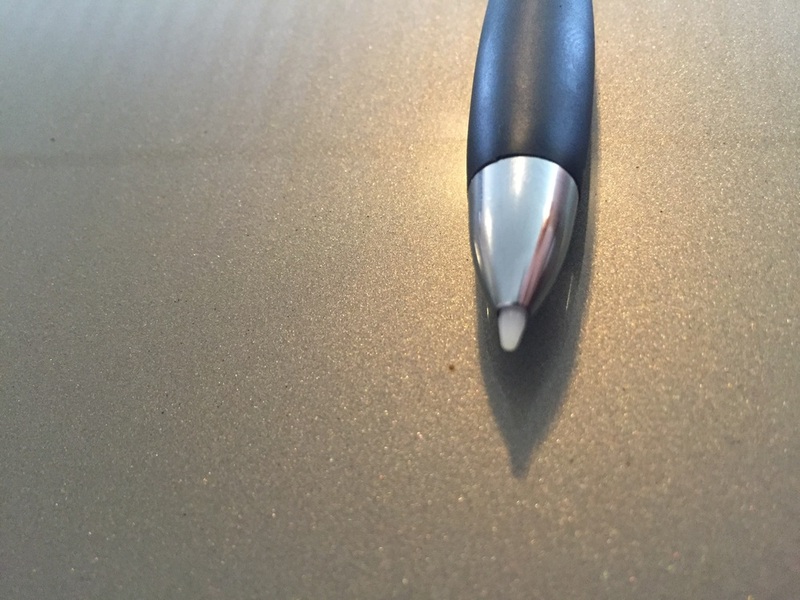 The cap is one of the highlights of the pen, It doesn't screw on or merely clic into place, There are rare earth magnets in the cap and section. When capping, it makes this pleasant sound <chshhh click>. The section is designed with a cam, so the <chshhh click> is followed by a quarter turn which the locks the cap in place. this is the perfect thing for the twiddler (and the the bane of the easily annoyed). I could easily repeat that <chshhh click> over and over again as I ponder various philosophical ideas. 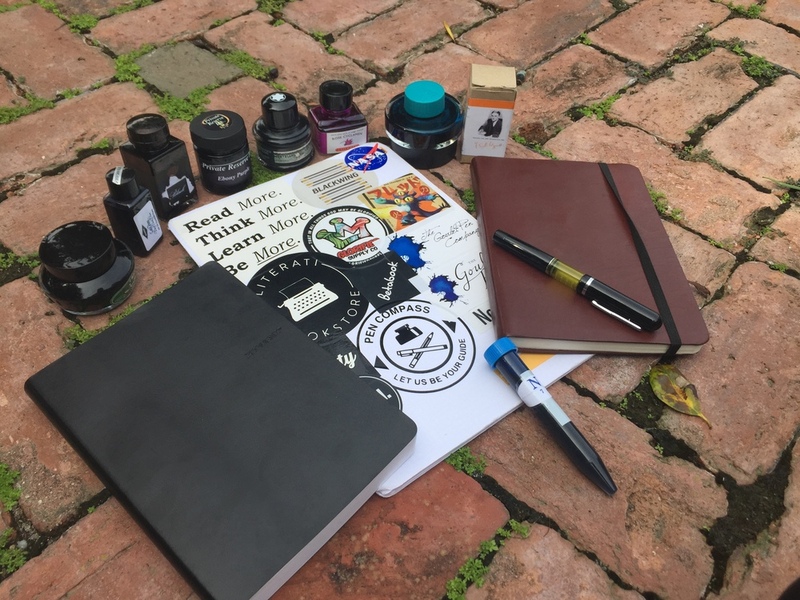 The secret of this pen is the blind cap. Yes, you heard right, a blind cap. This is for the person who cares not to see how well the converter is filled. To me it's a redundancy in the pen. The blind cap also has an earth magnet, for when you post the pen. Because of the weight of the magnet in the cap, I find the posted pen too heavy. It is more than large enough in my hand unposed. Minus the redundancy of the blind cap, this is a well engineered pen. I'll start with the Masuyama medium italic nib. It takes some getting used to. It has a sweet spot, that when consistently hit, makes the nib a joy to write with. When you move off it, it gets scratchy. This is definitely a nib that gets better with use and can easily turn off the first time user. Persevere because the experience gets better with experience. 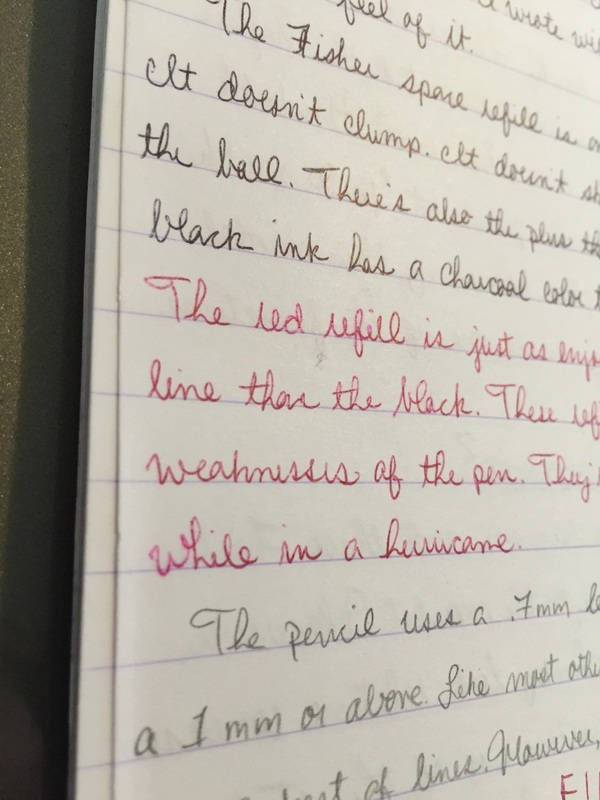 The nib makes a very pleasant line. It's not too large as to make normal writing difficult. In fact, I can write script in my normal small handwriting. The line differentiation is enough to really enjoy cursive and BLOCK LETTERS. I'm definitely thinking about getting one of those nibs or sending Masuyama one of my medium nibbed pens to have a regular writer with this line. When I first saw this pen, I thought the grip section would be uncomfortable. 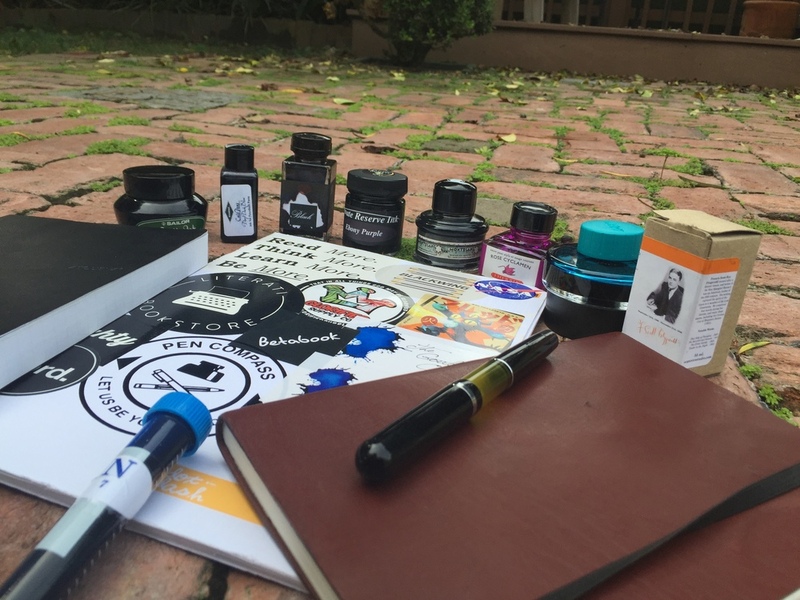 It was what first turned me off to the pen; it didn't look enjoyable to write with. Well, my first impression was wrong. This grip section is super-comfortable. It's semi-knurling (I'm still having trouble labeling it) isn't sharp. It receives the fingers very well and improves the fingers' natural grip. The width makes it just wide enough to be neither too wide or too thin. Normally, I am fan of concave grips, but this straight one has captured the joy of my fingers. They keep asking for more when I put the pen down. Where this pen shines is in its price. With a standard nib choice, EF-1.4 cursive italic steel nib, the pen comes in at right under a $100. For a classy looking pen, to that's a steel (pun intended). If you upgraded to a gold nib in the same range of nib types it would $179. That's a good price for a sold made gold-nibbed pen. If you wanted to go with a Mike Masuyama grind option the steel ones are $114 and the gold are $194. These are well worth the price. 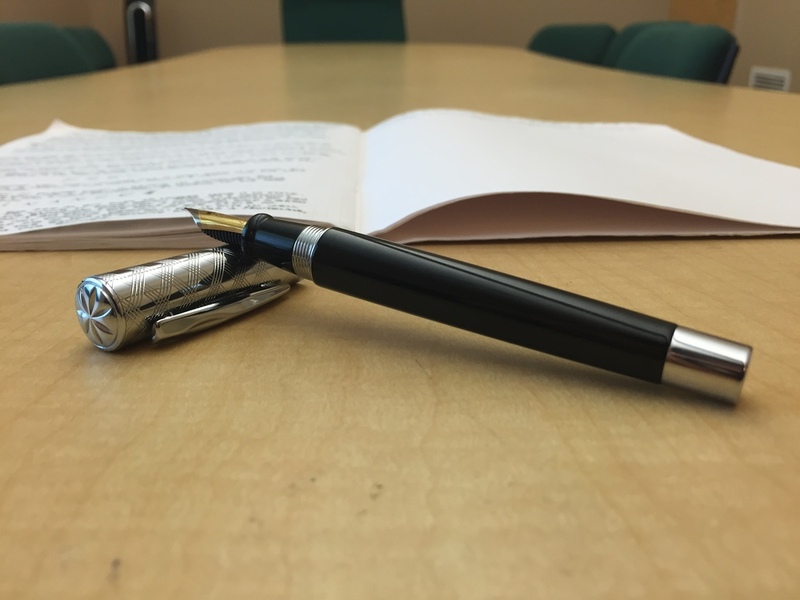 There are three things that detract from the pen: the redundancy of the blind cap, the blandness of the clip band, and the slight advancing issue. These however don't detract enough from all the great things about this pen.